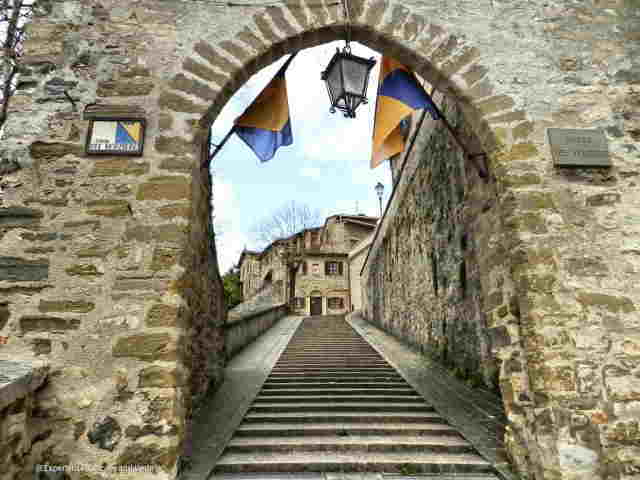 Montone is a charming walled medieval village about 35 km north of Perugia, in Umbria . The town boasts a rich historical, artistic, cultural and natural heritage, its history is closely tied to the military and political fortunes of the Fortebracci, a dynasty of Italian warlords, and reached its maximum splendor under the rule of Braccio da Montone also known as Braccio Fortebraccio. Carlo Fortebraccio, son of Braccio, was fighting in the service of the Republic of Venice and as reward for its brilliant military exploits was given a sacred relic, one of the thorns of the crown that pierced the head of Jesus Christ. He decided to bring it as a present to his hometown Montone. 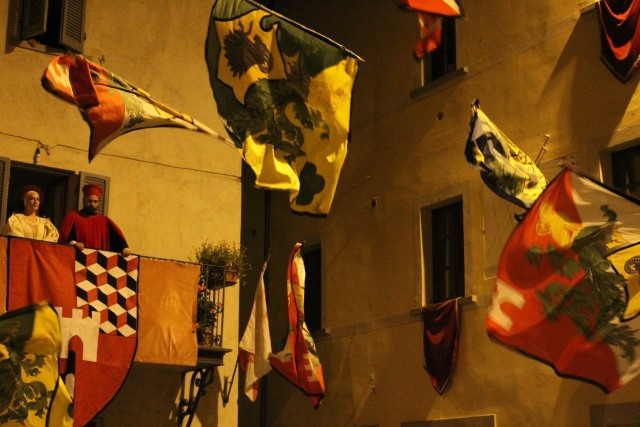 Every year in August, Montone is home to great historical, cultural and religious event, which is under the UNESCO patronage since 2007, to celebrate the donation of the Holy Thorn. The streets and the squares of the village come back into the magical atmosphere of the Middle Ages thanks to musicians, jesters, jugglers, flag-throwers, merchants, men-at-arms and many other historical characters in faithful period costumes. The program includes music and dance shows, arts and crafts exhibitions, the customs and the flavours of the Middle Ages, and yet historical dinners in the picturesque taverns and inns. The festival ends with an impressive historical parade. Saturday 17th August– Arrive in Perugia Arrival at the country farm “La volpe e l’uva” (Perugia, Central Italy, Umbria, near Tuscany). Check-in your apartment at 4:00 pm. Afternoon. 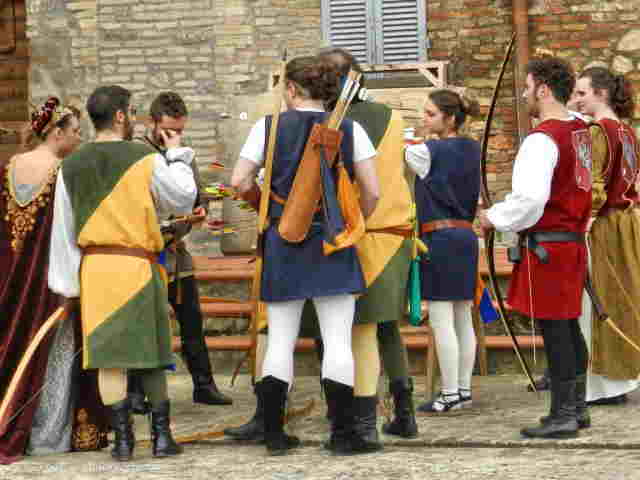 Visit of the charming walled medieval village of Montone and of the Grand Historical Parade of the Gift of the Holy Thorn. Professional guide in the tour. You will visit the city and the famous churches like the St. Francis Church filled with spectacular frescoes by Giotto, and also the Eremo delle Carceri, a peacefully isolated church and monastery in the wooded slopes just outside Assisi’s walls and the St. Damiano church .Professional guide in the tour.